Cheese makes everything better. It's just a fact. Sandwiches, burritos, and even plain bread all get a benefited flavor quotient when cheese is involved. Let's be honest though, grating cheese is one of the worst things ever. It tires out your hand like no other. Plus, if you have a flat grater, you have to worry about holding it in place above a bowl while little specks of shredded cheese fly everywhere. Shredding cheese doesn't have to be terrible though. While I can't help with the tiring of your hand presently (though I am busily working on a solution), I can help with holding your grater in place and easily containing all the bits of delicious grated cheese. 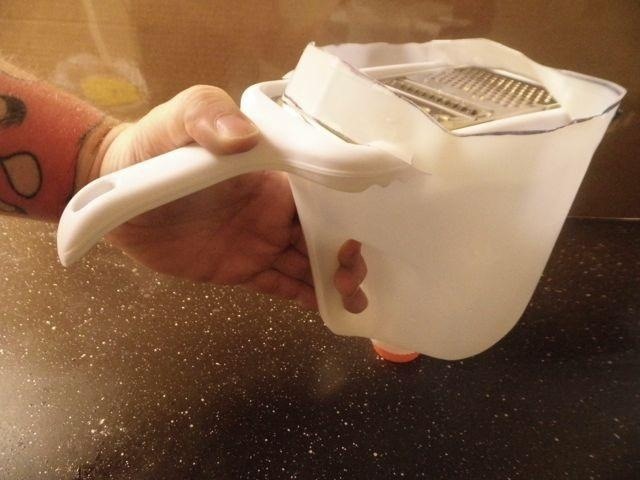 Here is how to make a convenient grater holder/cheese catcher out of a used milk jug. 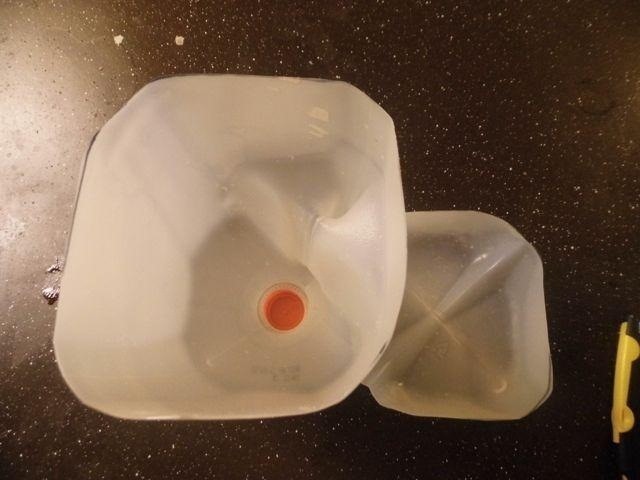 Get an empty milk or juice jug and remove the labels. Thoroughly rinse it out. 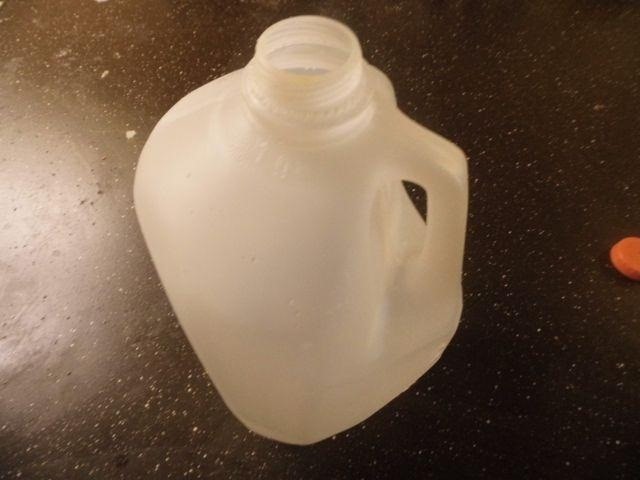 Almost all plastic milk or juice jugs have a slight indentation that runs around the jug slightly over an inch above the bottom. Take your marker and trace around this indentation. 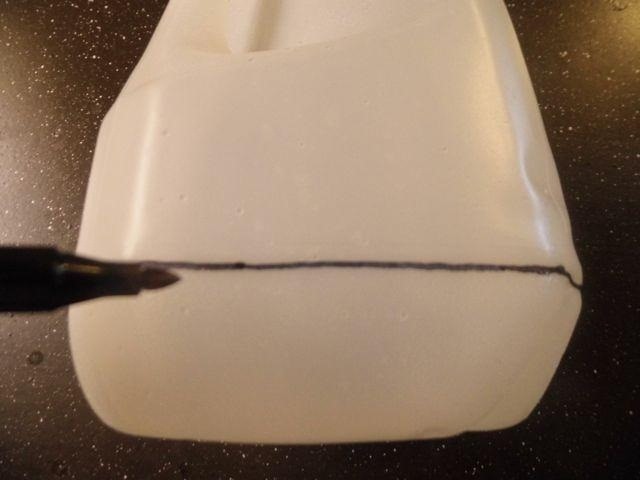 Using the line you marked in the previous step as a guide, take your razor blade and cut completely around the jug. 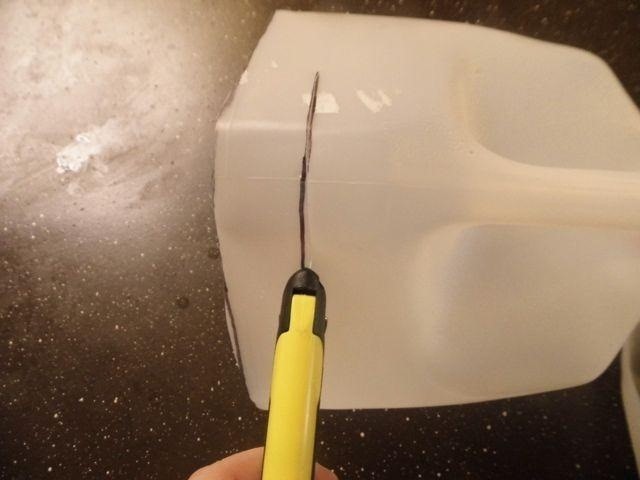 Remove the bottom of the jug and set it aside. 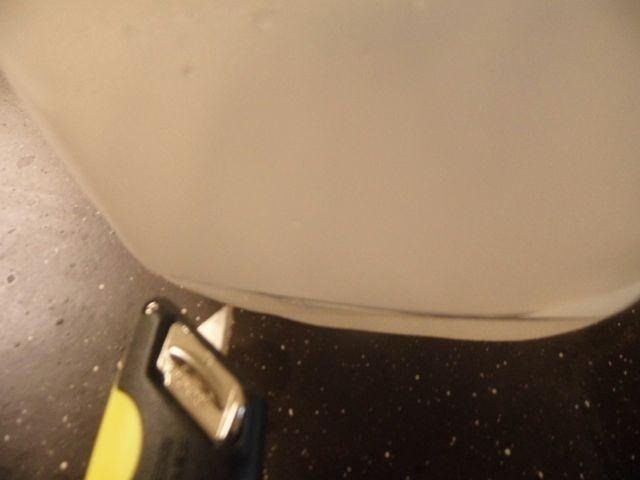 On the corner of the jug that the handle resides on, mark a line the width of your cheese grater about an inch or so below your first cut. Then, slice along this line with your razor blade. 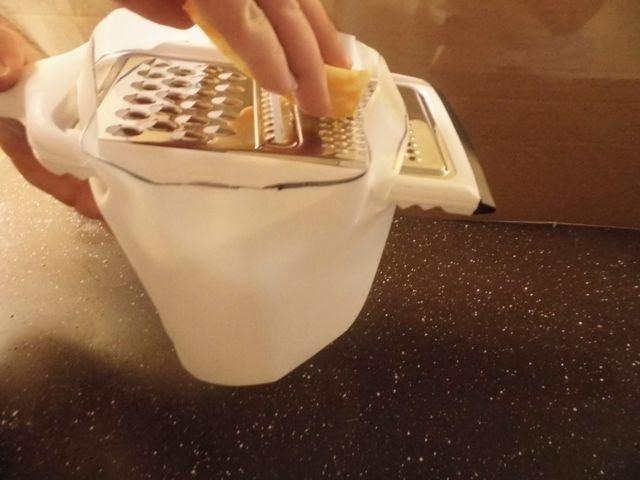 Slide your cheese grater through the slits so that it's over the cut-off bottom. 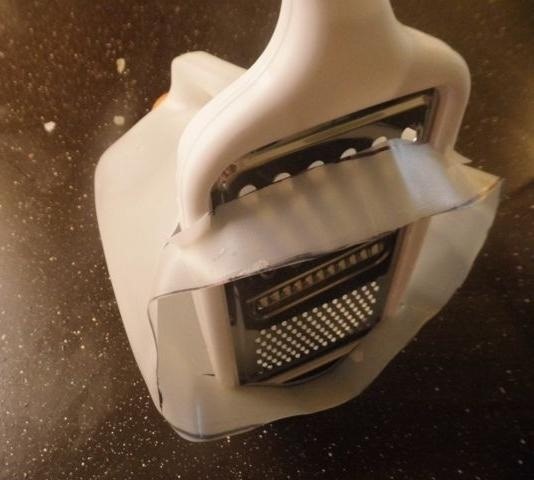 Using your razor blade, cut two small upward slits in the jug above the edges of the grater. This will help to make the jug not warp as much and give the grater a bit more room. 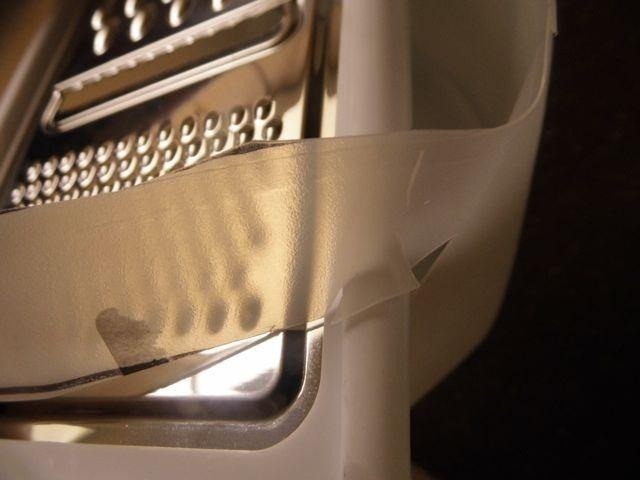 Repeat on both edges of the grater on both sides of the jug. Your rig is now complete! When you hold it, be sure to grasp the handle of the jug with your fingers and the handle of the grater with your thumb. A cool added bonus is that after you shred enough cheese to fill the container, you can remove the top to the jug for easy cheese extraction! Have a better way to do this than I did? Sound off in the comments below!